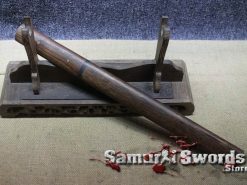 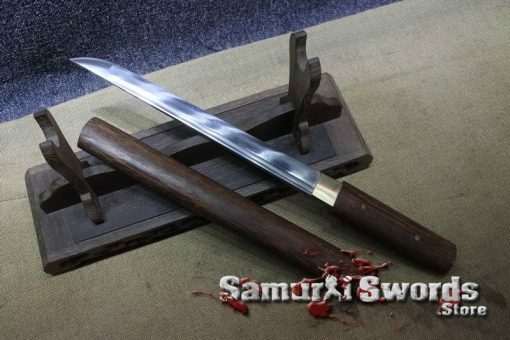 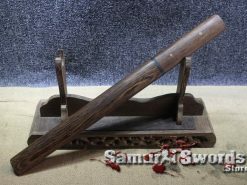 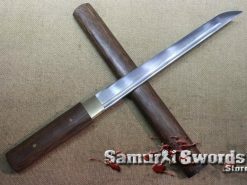 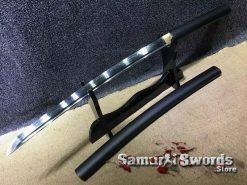 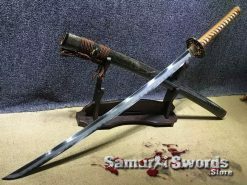 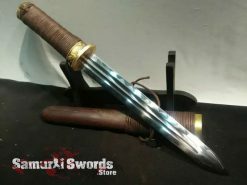 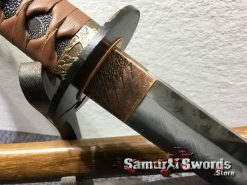 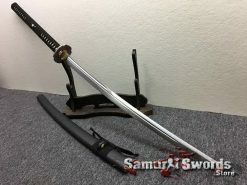 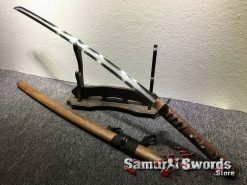 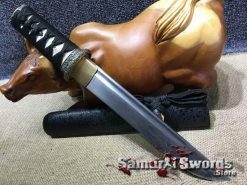 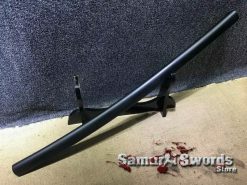 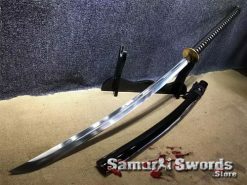 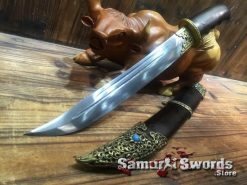 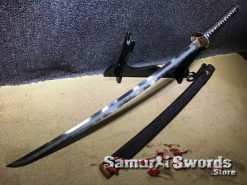 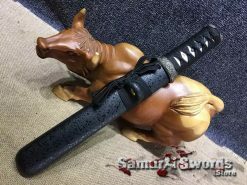 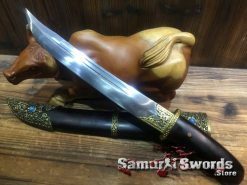 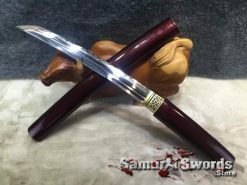 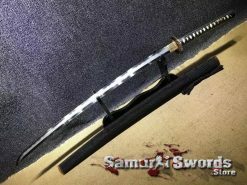 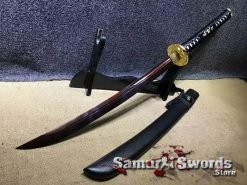 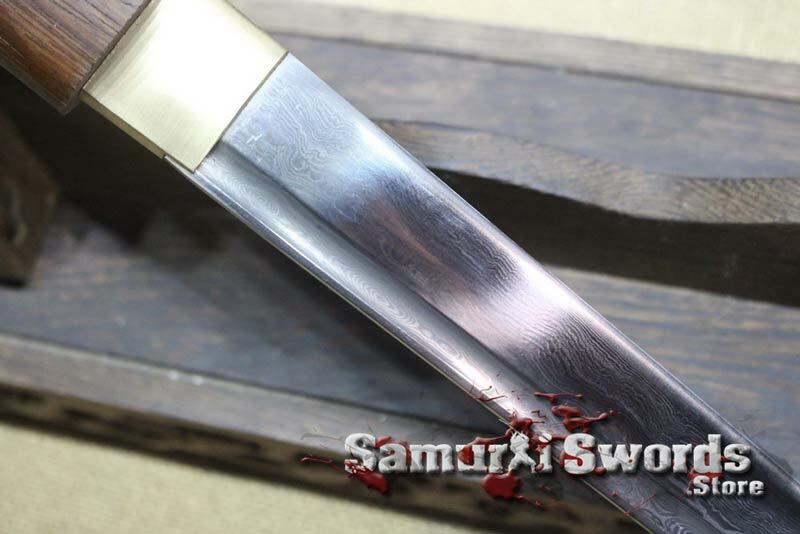 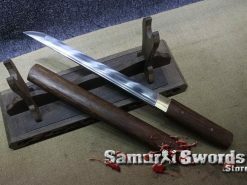 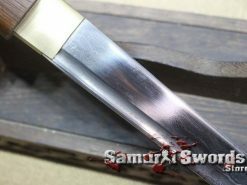 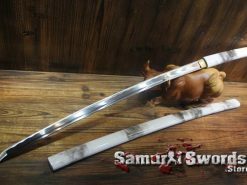 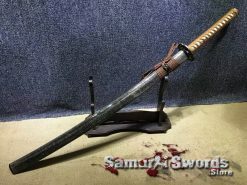 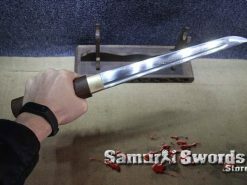 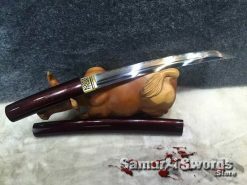 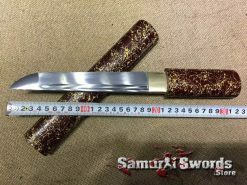 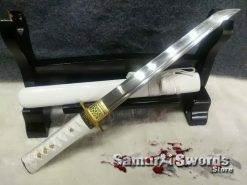 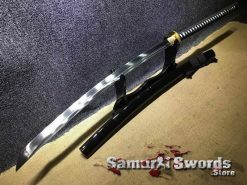 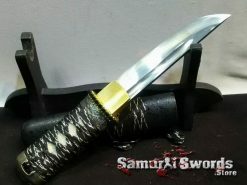 The T10 folded Steel Shirasaya Tanto Samurai Dagger Sword is a great piece for the sword enthusiast and collector who is looking for a streamlined shirasaya style tanto. 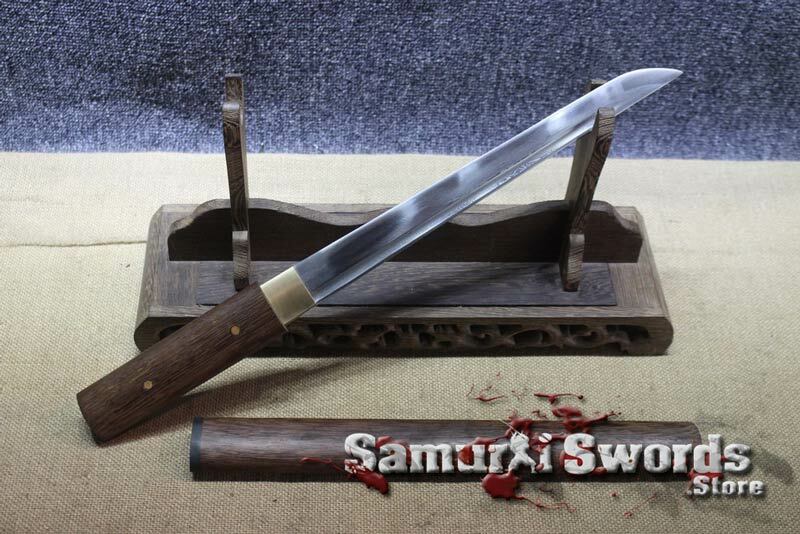 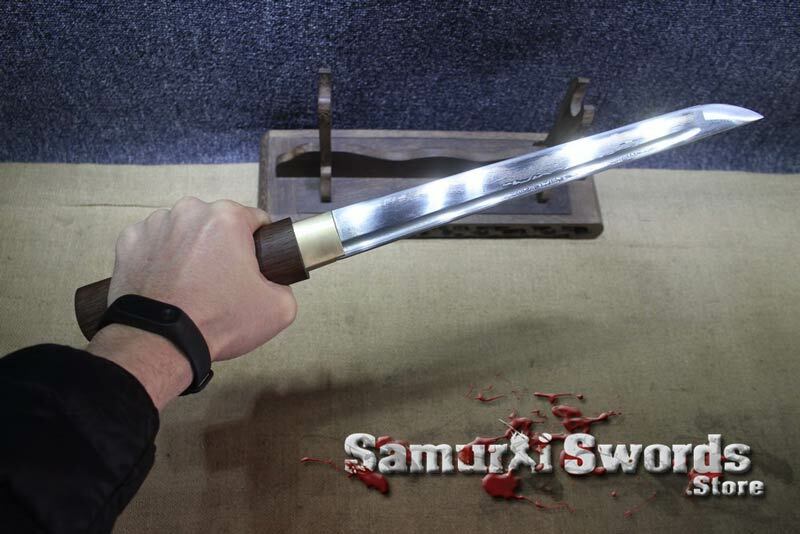 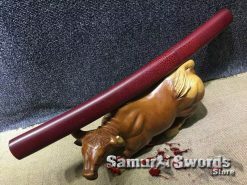 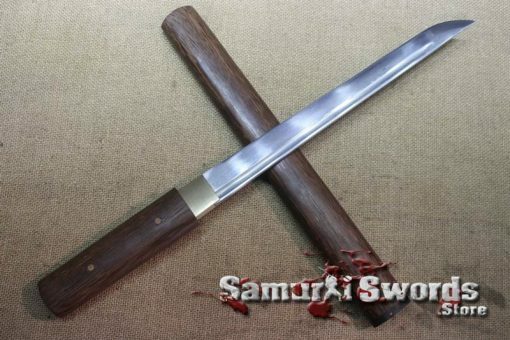 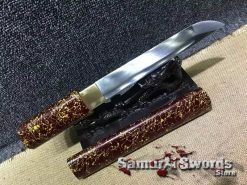 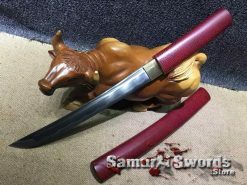 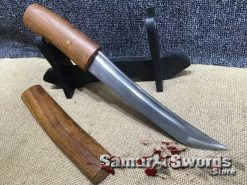 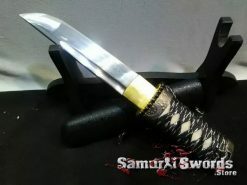 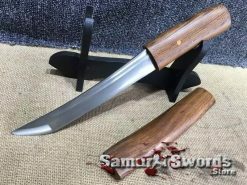 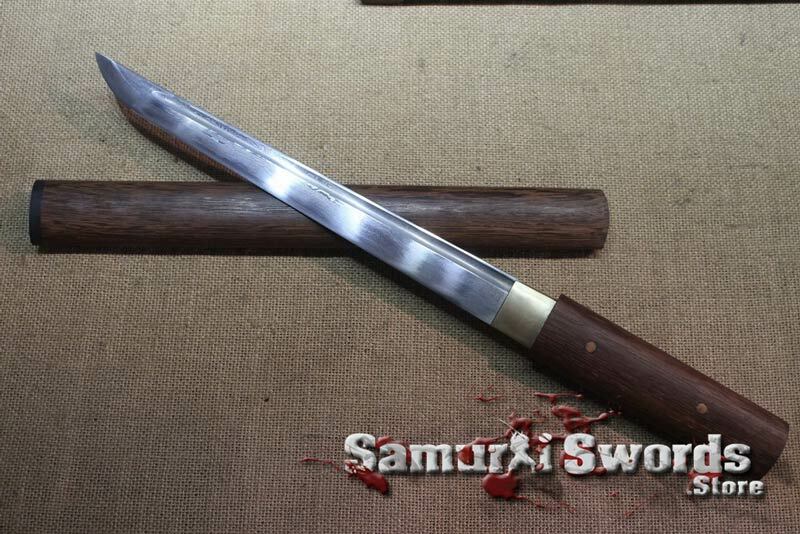 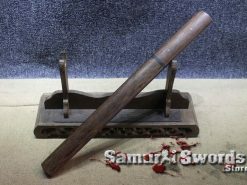 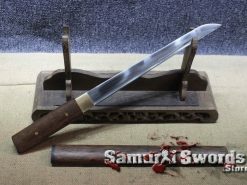 This tanto features natural rosewood for the saya and handle, which is both attractive and very durable. 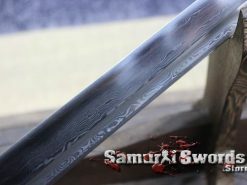 As you can see, the blade exhibits a beautiful grain patters. 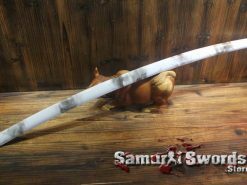 It has been folded 13 times, which created 8192 layers. 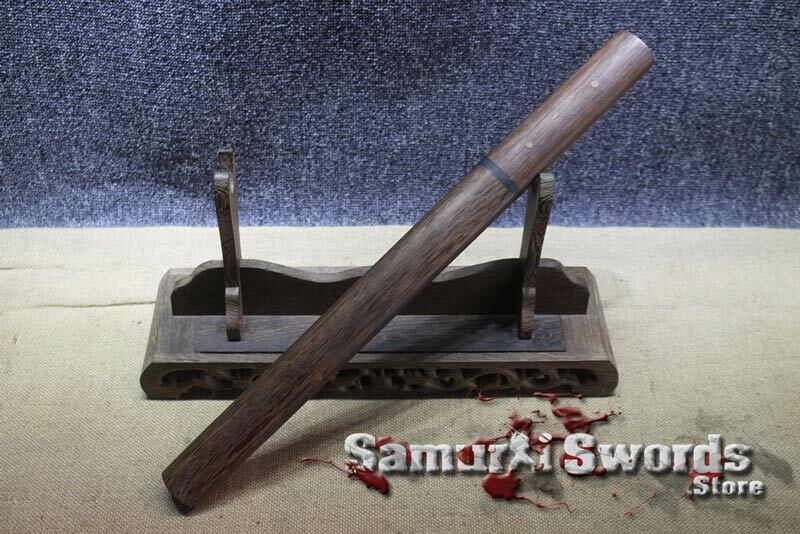 It has a double smoked bamboo mekugi pin. 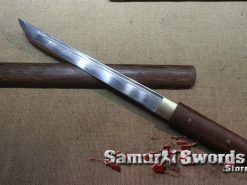 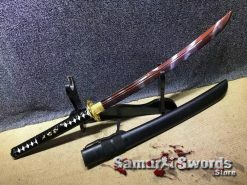 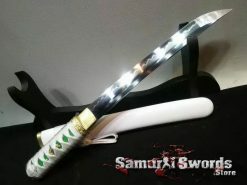 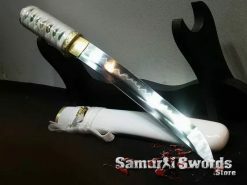 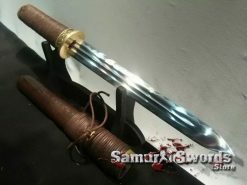 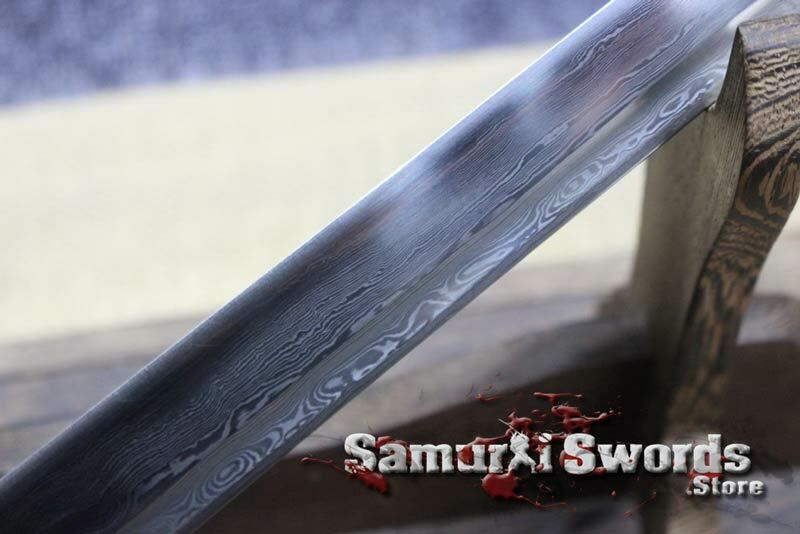 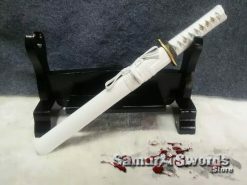 The blade is sharpened and fully functional, capable of cutting things like paper, bamboo, tatami mats, water bottles. Both the saya and Tsuka handle are made of high quality natural rosewood. 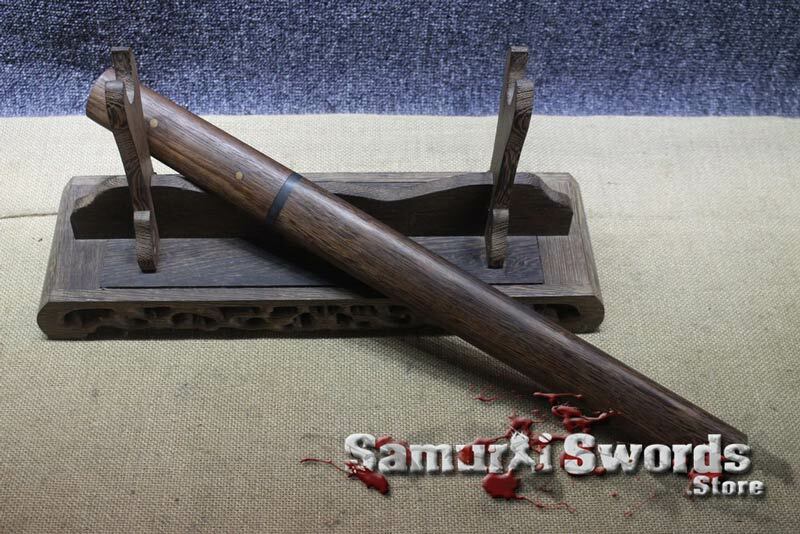 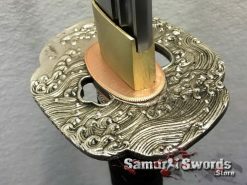 The saya fits seamlessly into the tsuka.